The Callaway 60" Golf Umbrella offers total weather protection and boosts Brand Recognition with custom logo. Keep your valuable customers protected against bad weather this season with the Callaway 60” Golf Umbrella! 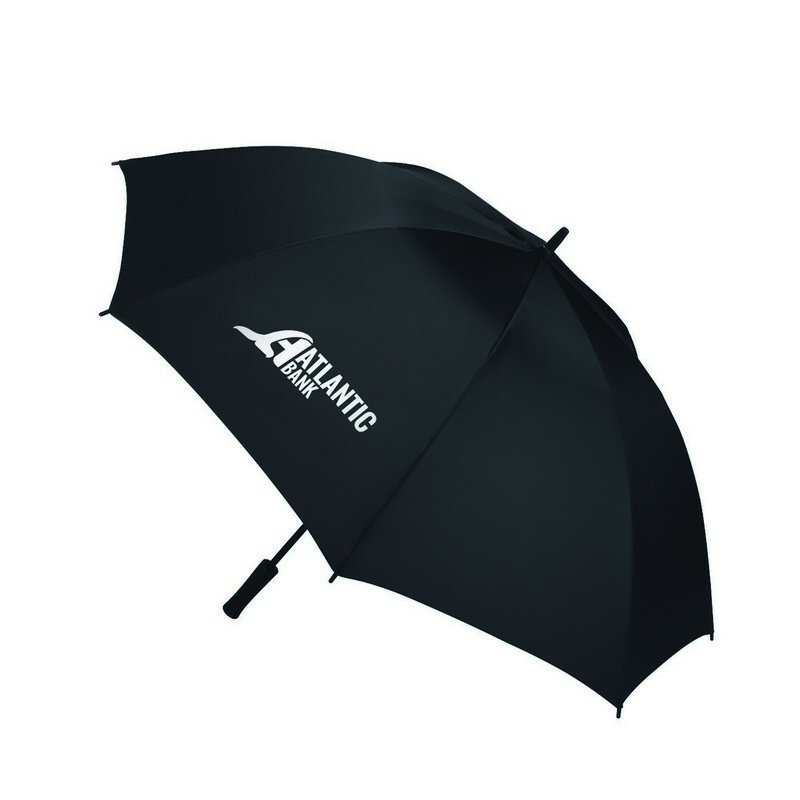 This umbrella in black features a durable construction to ensure that your brand impression stays with them for years to come. Special single canopy design protects the user from rain while robust frame holds up well against varying elements. Tension cables prevent the umbrella from collapsing and non-slip molded handle makes it easy to carry while on the course. Customize this branded umbrella with your company logo, name and marketing message to leave a lasting impression on your recipients’ minds.